Scores of people talk about being travel enthusiasts; having been to multiple places and having done numerous activities in each place. Out of these scores of people I would say only a handful comprise real travelers. Those who visit places not just for kicks and but with the intent to immerse themselves completely in and become one with the locale. When I travel I always travel with the aim of finding the heart of a particular place. To increase tourism a lot of pomp and show has been pumped into each destination diluting in effect the traditions, culture, food, people and scenic routes that are the building blocks of uniqueness. An avid traveler always aches to find the heart of a city, the soul of a country. And i would intend to do the same in breathtaking Oman as well. 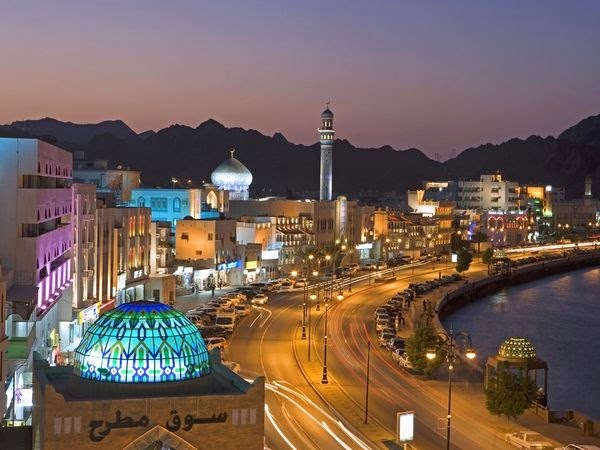 The Sultanate of Oman is like a land of dreams, inspiring every single soul who visits. The task a traveler finds at hand is to reach the root of the country and find out what makes it tick. 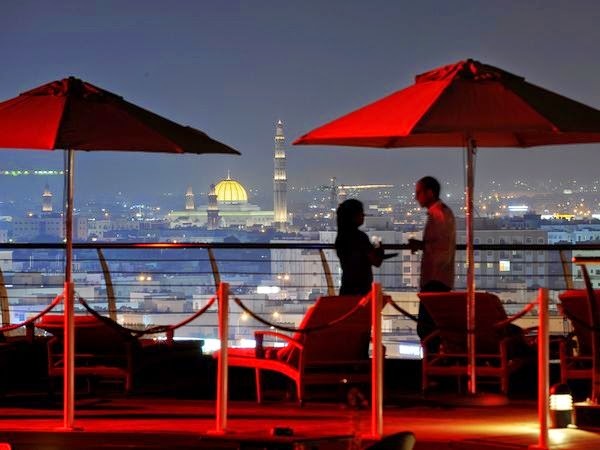 Oman has in store a majestic treasure trove of surprises that leaves anyone gasping for more. Be it the awe inspiring landscapes, kaleidoscopic souks, mystical deserts, lip smacking food or beautiful beaches; The Sultanate of Oman has something for everyone. There are only a miniscule number of destinations that can boast of a seamless mix of both tradition and modernity. Oman is indeed one such destination where a traveler can go back in time and yet move forward all at once. If I were to visit Oman, this is what I would want to experience. An enriching experience that not only throws light on the grandeur that comprised Oman’s past but also the star studded future that the country promotes alongside. Though Oman is a traveler’s paradise, what with its multitude of sights and activities, there are some places and activities that seem to touch my heart for very special reasons. These are the places that I would love to visit. I begin my travels with a trip to the Souk. Souks in the Middle East are a treat for the senses and nothing makes me giddier than being surrounded by the local craft, spices and people. In each earthen pot, in each bhurka clad woman admiring jewellery, in each case of exotic spice there lay the heart of Oman. I love being amidst such cultural beauty. Conversing with the local people, getting to know the inspiration behind their handicrafts and artistic treasures and simply breathing in the different smells wafting from many a direction is an experience that I would want to have. 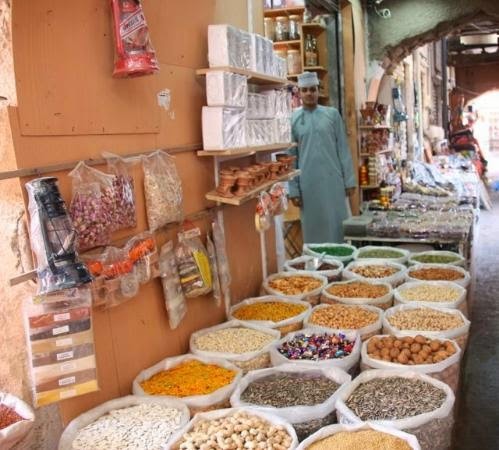 The two starkly different yet most famous souks in Oman are The Muttrah Souk and The Nizwa Souk. 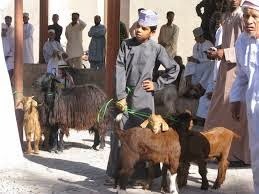 The Nizwa Souk can well be called a haven for livestock and local produce lovers. Being a food fanatic and always wanting to travel to experience world cuisine, this would be such a thrilling place to visit. One can get to learn a great deal about the local people, their food preferences and an all around fair taste of what represents Omani cuisine. 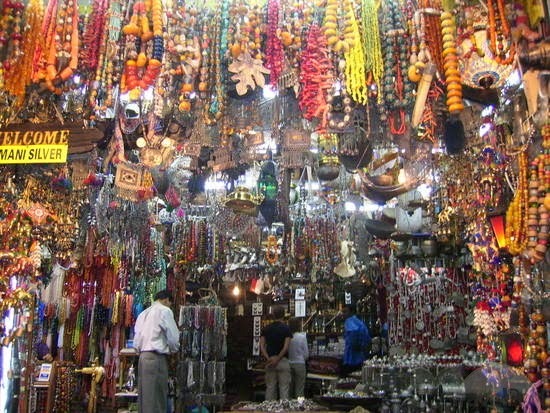 In total contrast, The Mutrah Souk houses a mixture of Omani and Indian artifacts. Browsing through rich textiles, fabulous gold jewellery and beautiful crafts work would indeed be a treat. One could get lost in the variety, colour and craftsmanship. 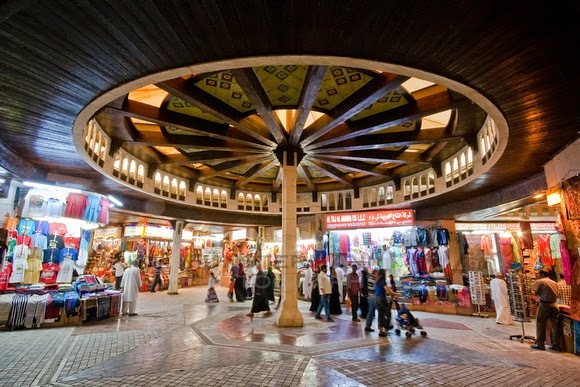 I believe every store in a souk adds its share to the culture and country of Oman. In fact I could even go as far as to say it is Oman. Golden sands, crystal clear waters, a summer sun and a myriad of sea life. 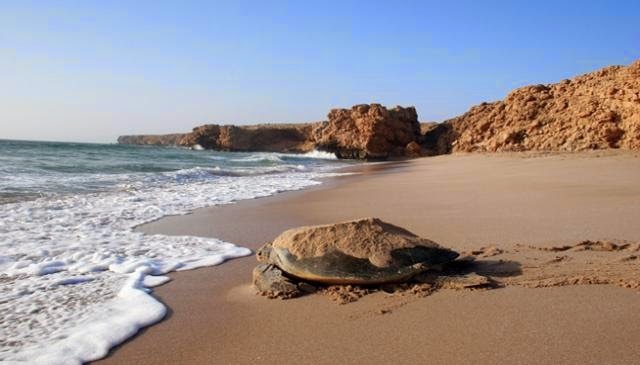 I love beaches and would not give up a chance to hit the Ras al-Jinz Turtle reserve. Apart from the 900m scenic beauty it offers, there is also the matter of adorable turtles that come onto the shore for egg laying and nesting. Watching these turtles slowly make their way onto shore, make room for their progeny and then set on back to the ocean for a slow wait has such love embedded in it. For a lover of both beaches and animals, this is a fantastic double deal. Eco-tourism is a fast emerging branch of tourism and Oman is right in the midst of it; with the aim of keeping the beauty it is blessed with, intact. Other than food, handicrafts and natural landscapes, I find the architecture of a particular travel destination quite interesting. I believe each structure that was erected brings to light the sense of style and beauty of the Omanis. From castles to forts, palaces and mosques, Oman is a haven of structural beauty that echoes in each stunning structure that was built up stone by stone. 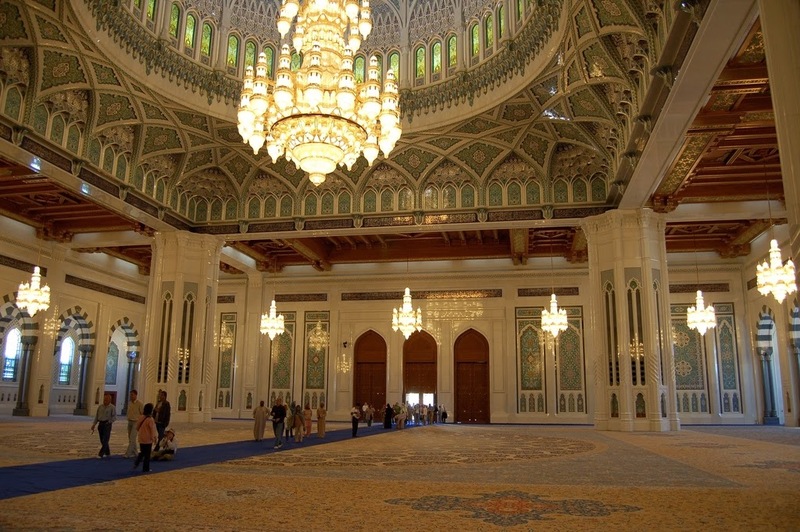 One such structure that would top my list of architectural wonders in Oman would be the Grand Mosque. It is an ode to modern Islamic architecture and stands testament to the rich religious sentiment of Omanis. More than 20,000 worshipers can be accommodated. The vastness of the prayer hall is further accented by a stunning Persian carpet that took 600 women 4 years to weave. Another architectural sight I would want to take in is the Bahla Fort. The walls of this Fort is said to have been designed by a woman 600 years ago. This is reason enough to pay this monument a visit! The very fact that The Sultanate of Oman was open enough to encourage women to participate in matters military and defense 600 years ago, shows how forward thinking the culture of Oman was even then. Heights don’t bother me. The higher the better I always say so the towering Jabrin Castle would be such a welcomed delight! I would without a doubt climb the castle all the way just to treat my eyes to the expansive view it provides. The beauty of this castle is enhanced by paintings of verses from the Koran on its walls and ceilings. Renowned for its majestic and artistic quality, The Jabrin Castle is indeed a sight to behold. I end my journey with something I love the most. Food! Omani cuisine is world renowned. The best place to indulge in Omani cuisine would be at Ubhar. Here, traditional Omani cuisine is served with a modern twist which is what the Sultanate emphasizes as well. 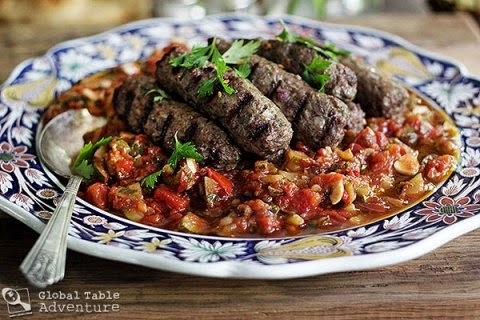 I would give anything to tuck into some piping hot Marakesh soup, the traditional Moroccan Harirah soup followed by sizzling lamb kebabs fresh off the grill, maqbous with its fluffy rice delicately flavored with saffron and served with spicy meats and as always a sweet, sweet end to the day with a cup of Sako, a sweet and caramelized tapioca pudding. For now,I leave the dream world of Oman with a smile of fulfillment and the phrase of “Sa arje’o halan” (I will be right back)! Xclusive Tours Offers Dubai Sightseeing Tours, Dubai Boat Trip & Sunset Dhow Cruise Dubai, Dhow Cruise Dinner.